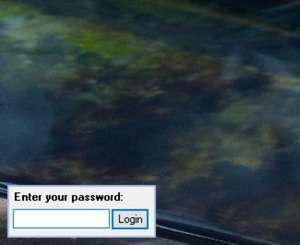 1st Screen Lock is a password-protected desktop security utility that lets you lock your desktop with a password on boot, or at the time you are leaving your PC. You can use the built-in spy utility that works in background and enables you to spy on your PC users by fixing all user moves in a log file. This is very useful, when you need to know what your children or personnel do at the time you are away. Each user of 1st Screen Lock has its own password used to unlock locked PC. 1st Screen Lock 10.0 is a shareware program and can be used as a demo to try the software until the free trial period has ended. A full version of the program is available after the trial period ends. For security reasons, you should also check out the 1st Screen Lock download at LO4D.com which includes virus and malware tests. Additional screenshots of this application download may be available, too. Screen Lock has a presence on social networks.